It’s Clinique bonus time at Saks Fifth Avenue! Plus, there are new beauty breaks gift at Ulta and La Mer gift with purchase at Nordstrom. Saks Fifth Avenue (NEW) GIFT 1: Receive a Start With Your 7-piece Gift ($90 value) free with any Clinique purchase of $40 or more. Use code CLINIQ23A at checkout, ends 11/27. (NEW) GIFT 2: Receive a Step Up Gift With Purchase with your Clinique Purchase of $65 or more to take home a deluxe Moisture Surge Duo:Moisture Surge 72 Hour Auto-Replenishing Hydrator 0.51 oz. and the Moisture Surge Overnight Mask 2.54 oz.All gifts together worth over $115* with any $65 Clinique purchase. Use code CLINIQ23B at checkout. (NEW) GIFT 3: Receive a Super Step Up and get even more with your purchase of $85 by taking it all home in a roomy Kapitza tote- big enough to fit all 9 pieces. Hurry- it wont last long. Quantities of this tote are limited. All gifts together worth over $150* with any $85 Clinique purchase for the super step-up purchase. Use code CLINIQ23C at checkout. Online Only: November 13 & 14, Online & In Stores: November 15 & 16. Ulta (NEW)(Today only) GIFT 1: Beauty Break 4 hours only! FREE 4 Pc MAC Gift with any $50 online purchase. (NEW) GIFT 2: Free COVER FX Deluxe Cover FX Custom Enhancer Drops in Moonlight with any beauty. GIFT 4: (1d) Free Deluxe When Pencil Met Gel Long-Lasting Gel Eyeliner with any purchase. (2d) GIFT 5: Platinum Perk! 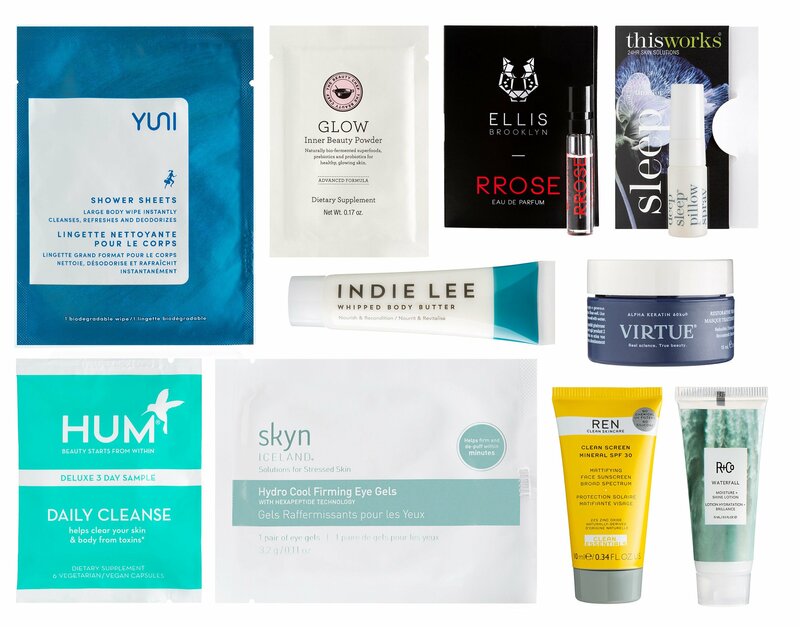 FREE 30 Pc Beauty Bag with any $150 online purchase – A $280 value. (1d) Ulta Annual Cyber Fundays 2018 preview — ulta.com/cyberfundays/ coming Thu Nov 15 10PM CT! (Upcoming) Choose free 18pc gift with $65 purchase – $71 value. (6d) Receive $3.50 off $15 purchase use coupon 651168 (exclude prestige brands) any qualifying purchase (excludes prestige beauty brands) – printable version coupon here, ends 11/24. NORDSTROM (NEW) Receive deluxe samples of The Moisturizing Soft Cream (0.5 oz.) and The Eye Balm Intense (0.1 oz.) with your $250 La Mer purchase. (6d) GIFT 2: Spend $100 on women’s or home fragrance and also receive a full-size Antica Farmacista Prosecco Home Ambiance Perfume (3.3 oz. ); a $59 combined value. (6d) With your $75 men’s grooming or cologne purchase, you’ll receive 16 samples from Jack Black, Kiehl’s, YSL and more top brands. A $47 value.